Start them young! This is the first thing that came to mind when our 6 year old homeschooler discovered a newfound hobby, go karting. He was totally over the moon when he first drove! One of the perks that we really get to enjoy as homeschoolers is being able to take our lessons wherever we go. We have done that quite a bit last week when we went to spend quality time with good friends who we have not seen in years. For practical reasons, go karting has a height requirement. Our 6 yo is a couple of inches over 4 feet. One of the things in our agenda that we got to scratch off was go karting. 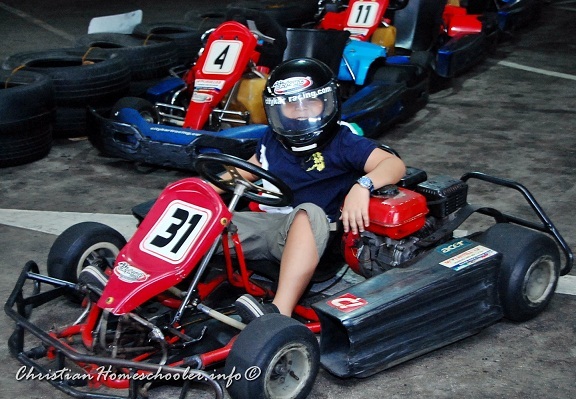 Our family enjoys go karting so much that we wanted to share the experience with our loved ones. 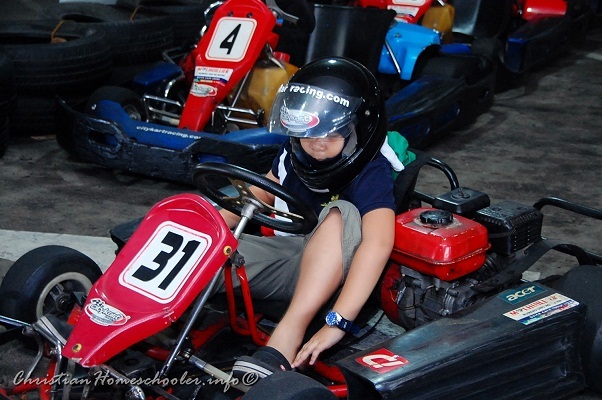 We headed to City Kart Racing in Makati at the 7th Level car park, Park Square 1. So those who were able, came and had a blast. It was our 6 year old homeschooler’s second time to go karting and he was no less than thrilled than he was the first time. 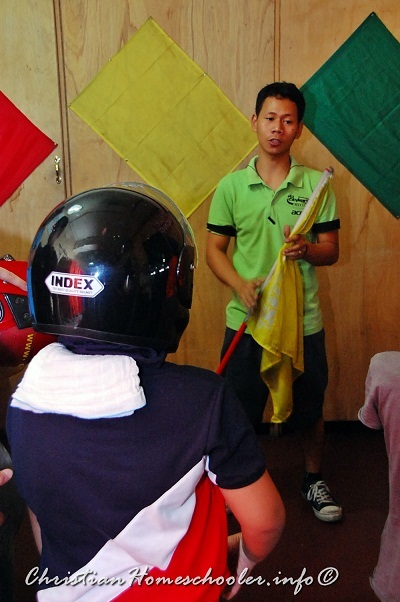 But before this homeschooler was able to ride the kiddie kart (go karts for midgets kids), he had to listen to instructions that he needs to remember aside from the motorcycle helmet that he’s got to keep on for the duration of the race. Below is a short video clip of our little guy having a smashing time on the race track. 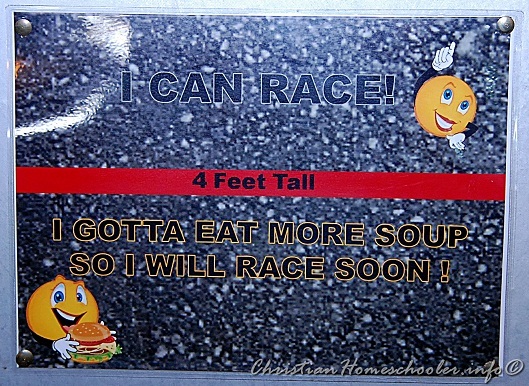 © 2019 Christian Homeschooler . All Rights Reserved.